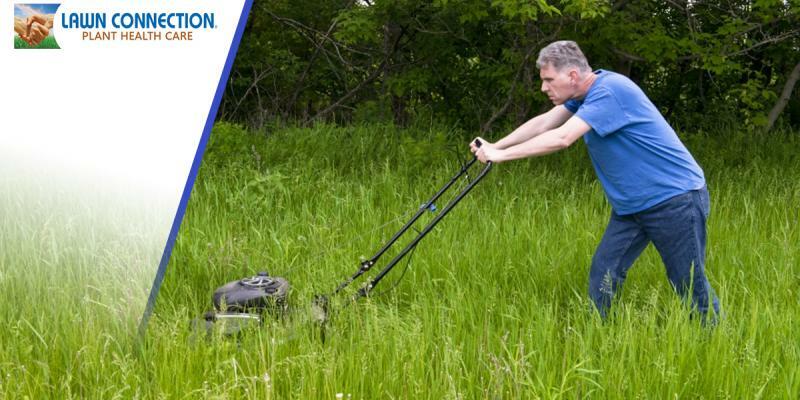 Even if you have hired Lawn Connection to make your lawn look phenomenal this summer, you may still be opting to mow your own lawn throughout the season. However, with hotter weather comes the possibility of dehydration, especially if you are outside for an extended amount of time, say mowing the yard. You need to be aware of what conditions will make it a bad idea for you to be doing yard work. The human body functions most effectively when it is at 98.6 degrees. However, if the temperature outside is higher than that, it makes it extremely hard for the body to cool down. Sweating is one of the only ways that people can get rid of excess heat. Unfortunately, sweating is only truly effective when the humidity levels are low enough for evaporation to occur. If you cannot sweat, however, you will store the excess heat which can be very dangerous, causing dehydration. You are not urinating or your urine is darker than it normally is. You are experiencing dry mouth and are very thirsty. You find that your are sleepy or experiencing fatigue. You are experiencing dizziness, lightheadedness and/or confusion. You feel as though you may or you do vomit. Make sure your hydrate! Drinking plenty of water will help you to avoid dehydration. A good rule of thumb is to drink a glass of water for every 20 minutes that you are out in the sun. Eat foods that are hydrating such as watermelon, celery, kiwis, carrots, pineapple and any citrus fruits. Avoid alcoholic beverages like beer that actively dehydrate you. Be sure to take breaks and cool off in the shade, or indoors where there is air conditioning. You can stay safe this summer by following the tips in this post. If you need additional help taking care of your yard, call Lawn Connection today. We are New Jersey’s best lawn care service and we take pride in being able to assist our customers when they need it the most.